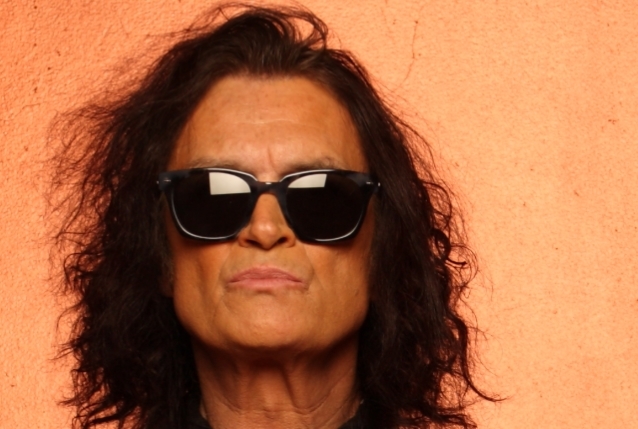 Legendary rock vocalist Glenn Hughes (DEEP PURPLE, BLACK COUNTRY COMMUNION) was recently interviewed by Shawn SixX of “The Liquid Conversations”. The full conversation can be streamed below. A few excerpts follow (as transcribed by BLABBERMOUTH.NET). Hughes‘s ongoing “Glenn Hughes Performs Classic Deep Purple Live” tour finds him performing various hits and deep cuts from the DEEP PURPLE catalog, including “Burn”, “Stormbringer”, “Sail Away” and “Smoke On The Water”, among others. The U.S. leg of “Glenn Hughes Performs Classic Deep Purple Live” will travel around the Northeast before wrapping up in Tarrytown, New York on September 22. Once the U.S. run wraps at the end of September, Hughes will return to Europe to continue to bring his interpretation of the legendary music of DEEP PURPLE to the fans worldwide. During the “Glenn Hughes Performs Classic Deep Purple Live” tour, Glenn focuses on arrangements from the live albums — not studio recordings — for the classic PURPLE songs, “giving fans even more insight as to what it was like seeing a DEEP PURPLE show during the 1970s,” according to a press release for the tour.